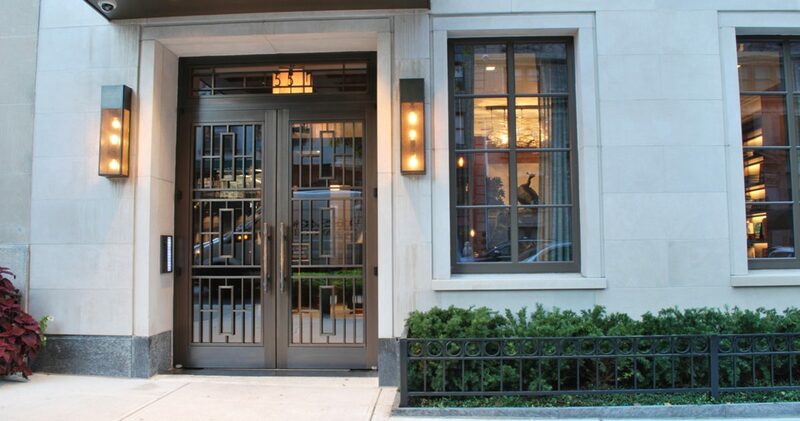 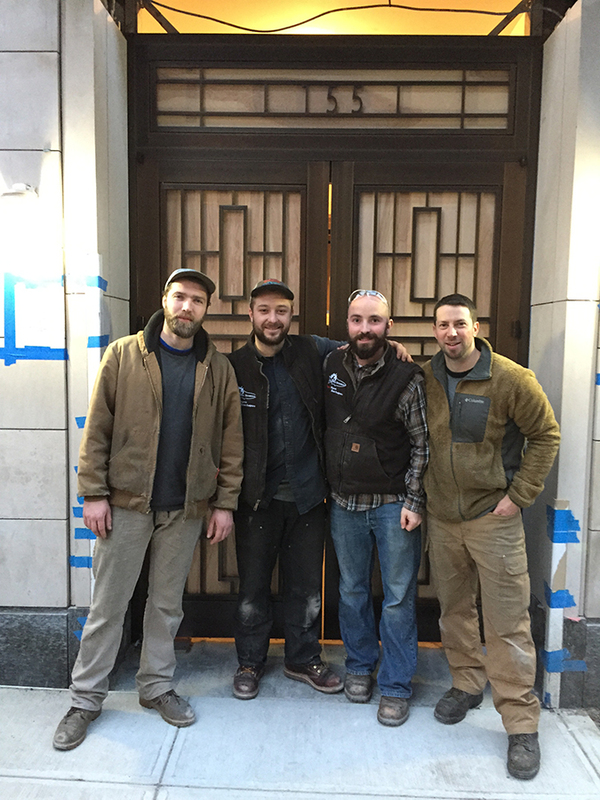 Anbau Enterprises, a NYC based luxury real estate developer, called on Salmon Studios' material and finishing expertise to complete a bronze door package for a prominent Upper East Side address. 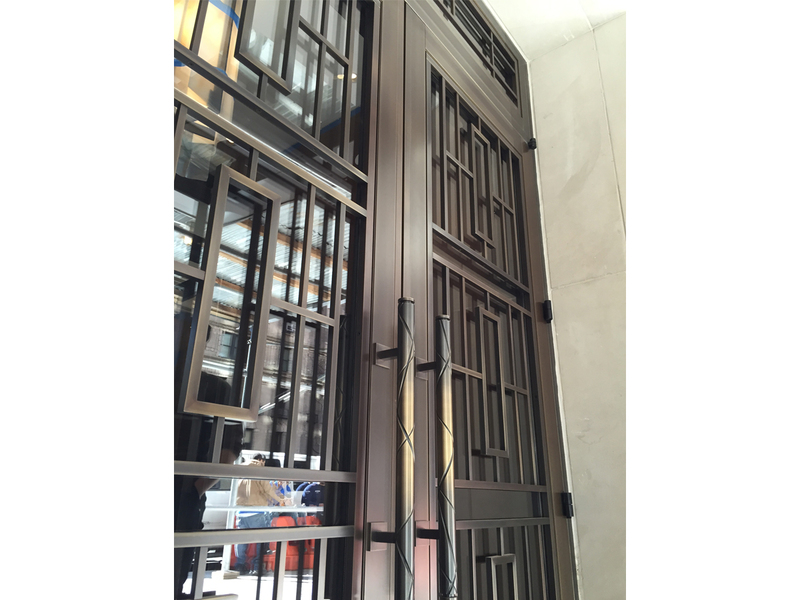 The scope called for 6 interior gates, as well as the building's main entry and vestibule doors - hinged in a custom jamb system with custom pulls and accessible grills. 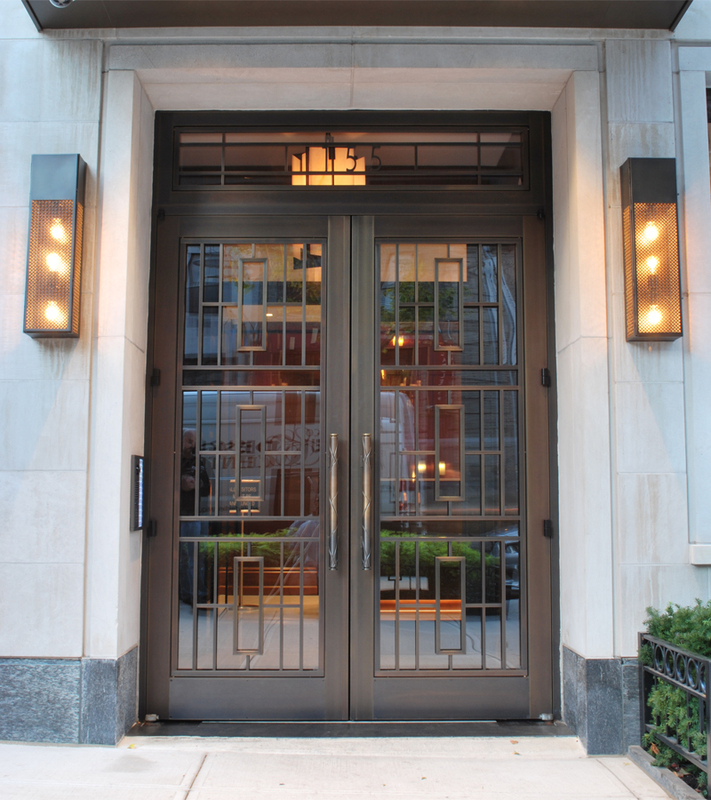 BKSK Architects and Pembrooke and Ives interiors' firm provided the general design and dimensional specifications. 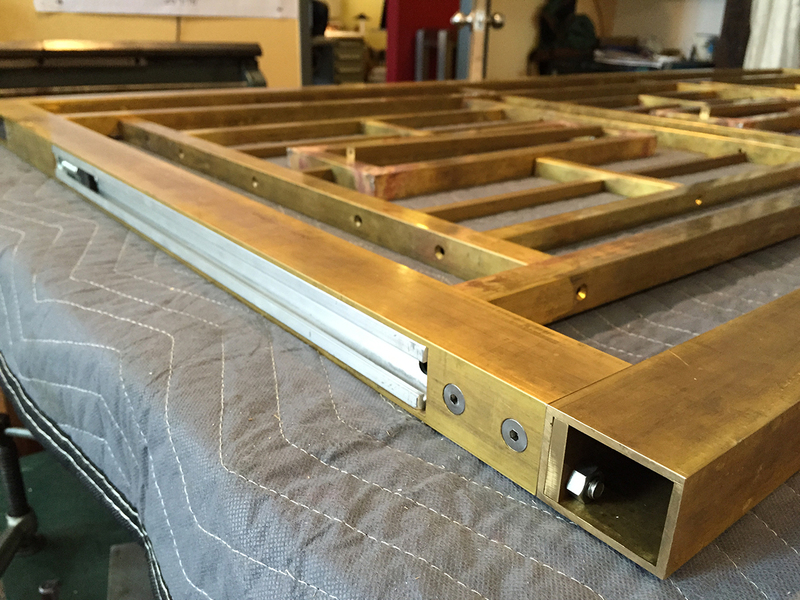 Prior to fabrication, however, the internal structure of the doors and surrounding jamb system required extensive engineering and design development. 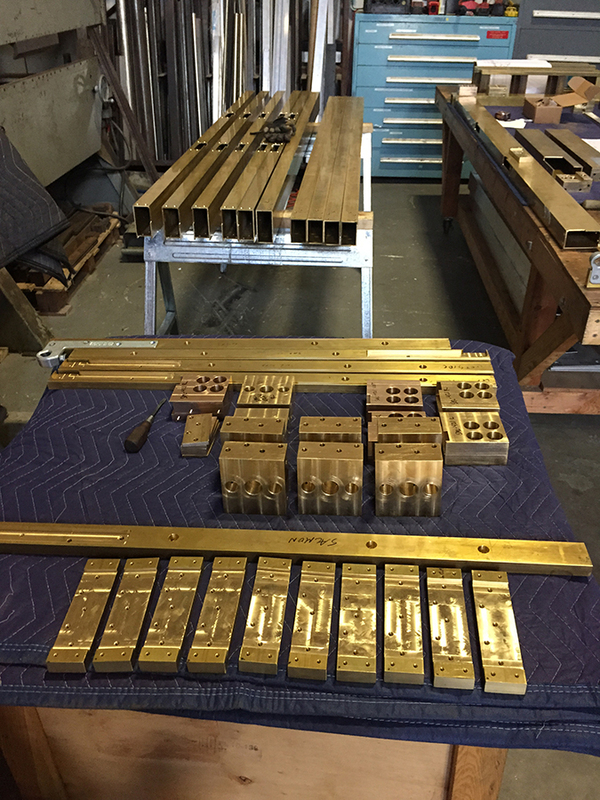 Salmon Studios provided material and finishing knowledge, drafting several rounds of shop drawings and submitting numerous material samples which became the benchmark for other bronze elements in the project. 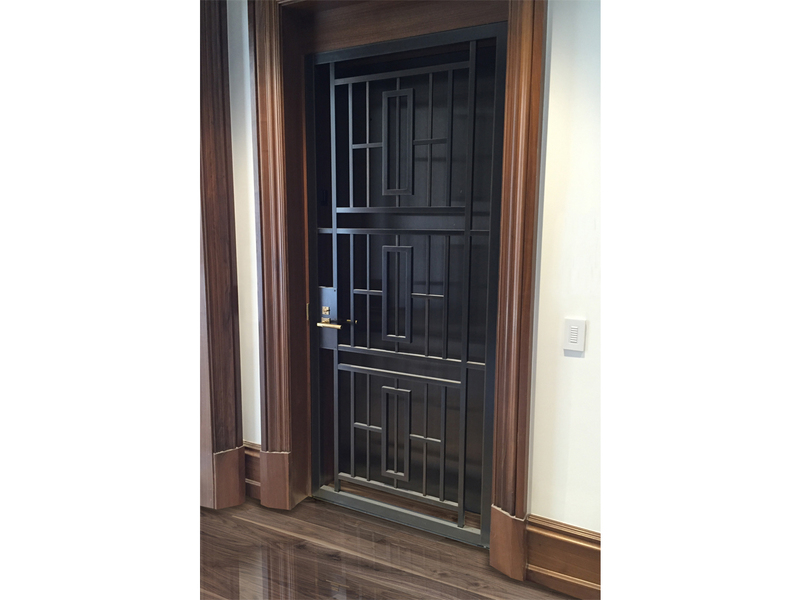 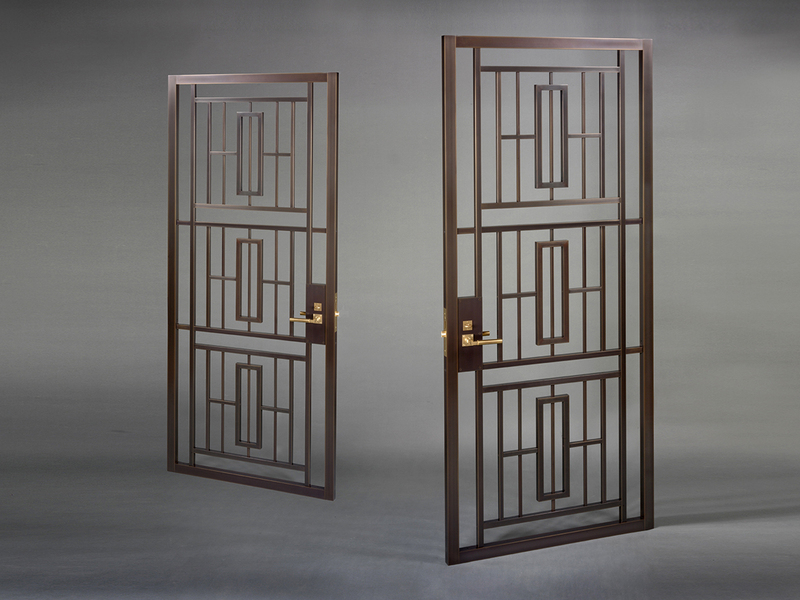 All door components were machined and fabricated to exacting specifications and tight tolerances. 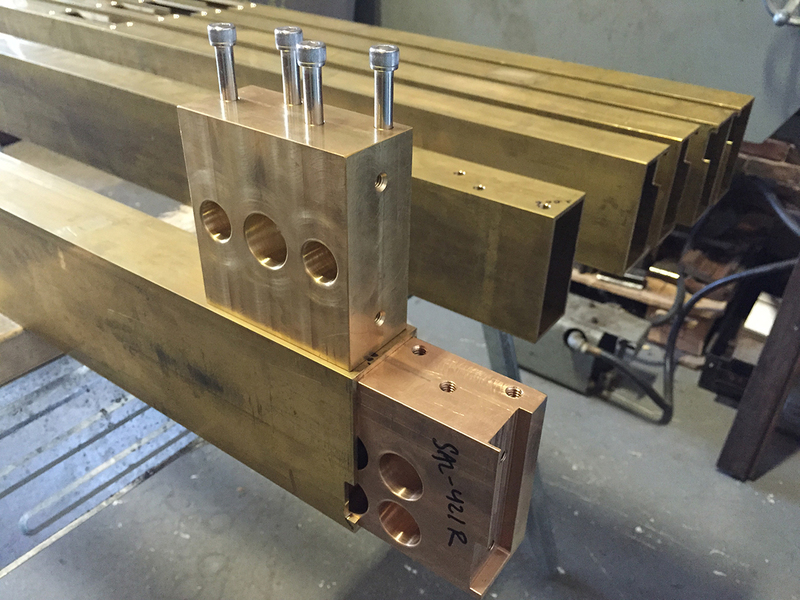 Once machining operations were complete, each piece was test fit to ensure correct field fitment. 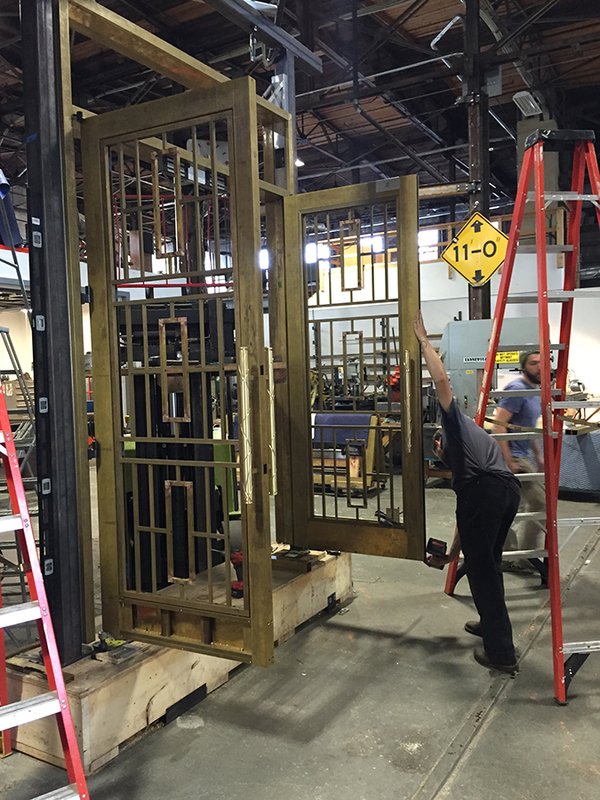 The entire jamb system, doors and grill set were mocked-up full scale for inspection by client and design team prior to the finishing phase. 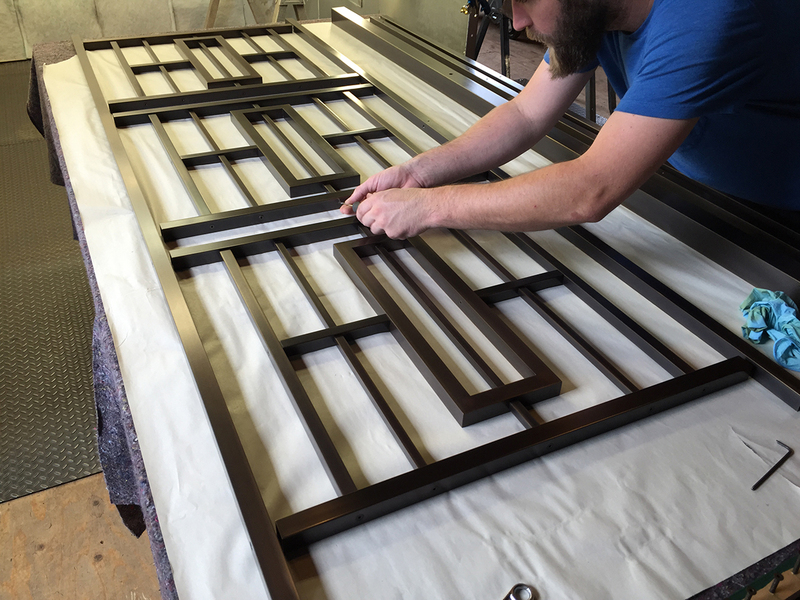 A dark, 'oil-rubbed bronze' finish was selected and the modular design allowed individual parts to be patinated and lacquered before re-assembly, ensuring an even tone across varying stock sizes and extrusions. 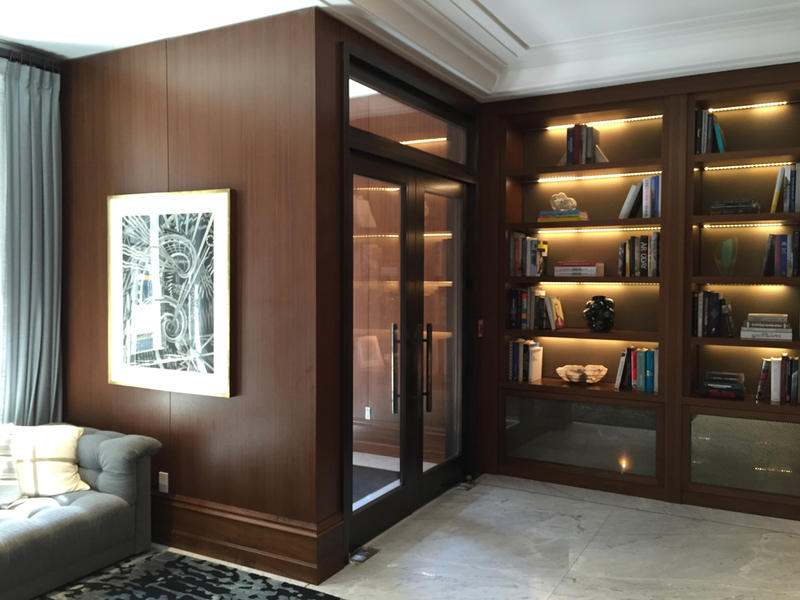 The 2nd floor mezzanine of our new 17,000 sq. 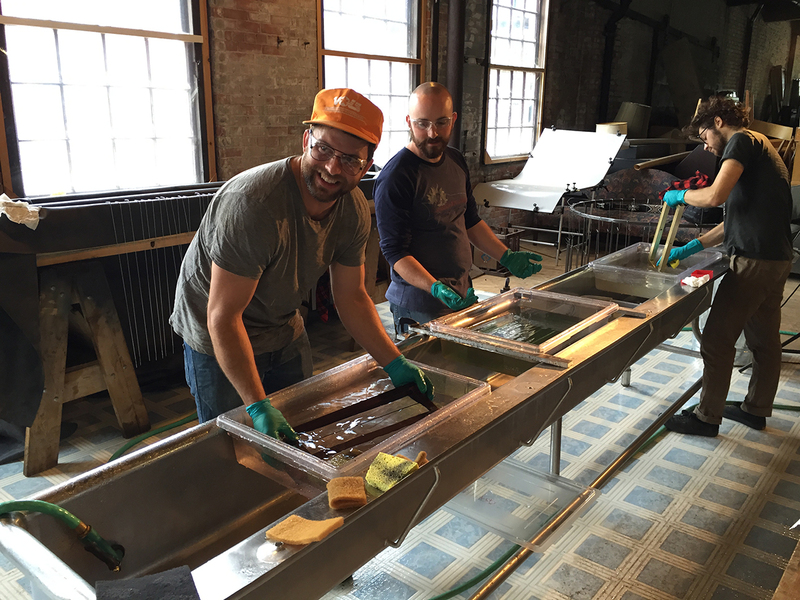 ft studio allowed for a dedicated patination and finishing department, making a project of this scale possible.